CASE: A married couple from Alabama were in Louisiana and traveling on the interstate when a 18 wheeler struck them from behind causing injuries. 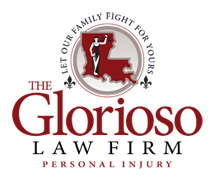 The suit was filed in Federal Court in the Western District of Louisiana. TGLF alleged that the driver of the 18 wheel truck was solely at fault and was in the course and scope of his employment at the time of the accident. The case was resolved for $120,000.